In today’s modern films there are a few directors that excel in their craft and how they approach several style of films while leaving their mark upon them, continuing the directors showcase we take a look at our third director, an individual who stylizes his films ever so delicately along with his smooth camera work, taking a look at David Fincher and how he can make the complex flow so well and entertain at the same time. Taking a look at his feature films and also some music videos and commercials where he first started applying his dexterity, a delicate and balanced director, his sharp camera skills along with their desired shots perfectly emphasize the meaning and plot of his chosen project in which he has undertaken. 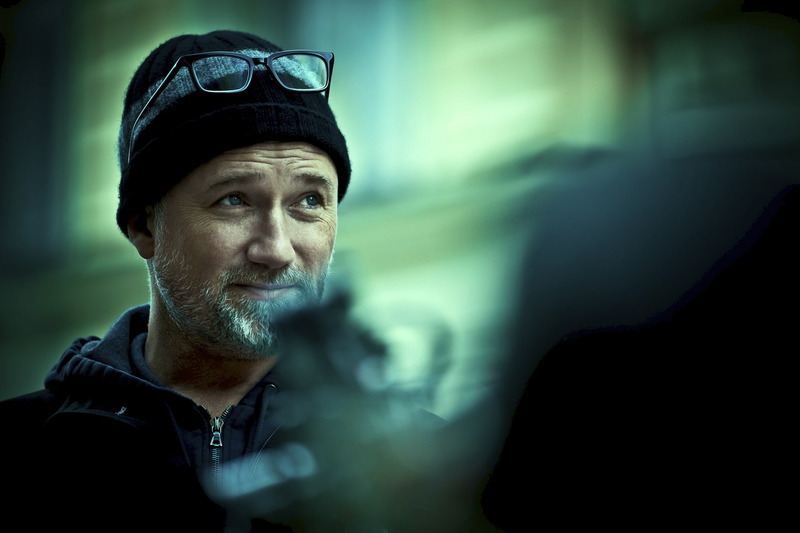 Having worked alongside musical artists such as Madonna for her “Vogue” video, Michael Jackson’s “Who Is It” amongst several others, this is where David Fincher first started in music videos, his approach was unique to tell the least, telling a story in each of his videos as well as the chosen songs adapting very well to the videos, he would soon move on and tackle his first project a third part in a sci-fi franchise- Alien 3. The film was not very well received with critics and was not the strongest film of the sci-fi film series, Fincher simply said he hated working on it, a quote from The Guardian newspaper read, “”No one hated it more than me; to this day, no one hates it more than me.” The film Alien 3 would not be a memorable one for the chronology but his presence would truly be felt with his next project, an intense crime & psychological thriller- “Se7en”. David Fincher would take us on a dark journey about a serial killer who is motivated to kill from the seven sins, with all his crimes and activities acting as his mode of operations, the detectives played by Brad Pitt and Morgan Freeman form a great partnership on screen and truly apply their detective skills to the test hunting down the menacing killer in a dark and rainy environment, Se7en a sinister and extremely dark thriller, we would begin to slowly see the emergence of the “Fincher Thriller” beginning to make its entrance, the film was successful in the box office both domestic and international. The film would feature a climactic finale scene with the infamous question that Brad Pitt asks of “What’s in the box?” , the studio did not originally want to put this scene in but Brad Pitt stated that he would leave if they did not feature this scene, the scene would amalgamate and bring to a close a tense and brilliant thriller which truly paved the way for David Fincher. Up next the psychological thriller “The Game” which featured Michael Douglas as someone who receives a mystery gift from his brother Sean Penn a live action game which consumes his life and makes him question his reality of what is real and what is featured within the game itself. We are also taken along for the ride but we wish that it was not us who received the gift as we slowly see his character slowly begin to deteriorate mentally as well as physically. There is of course the dark Fincher tone with many of his overall films as well as great twist in the end, but you cannot help but feel sorry for the protagonist and the environment in which he has been forced in to participate in a sinister and unbearable game. Two years later Fincher would tackle one of his most ambitious projects yet, where he would adapt Chuck Palahniuk’s “Fight Club” on the big screen. The film would be famous for not doing well at the box office but after being alienated by the audiences it would become an instant cult classic when it was released on DVD. This could have been major factors influencing it when it first was released, mainly because it was quite progressive when it came out and other films at the time performed much better at the box office, but it cannot be helped that once it came out on DVD it had become a monster of a film hit. 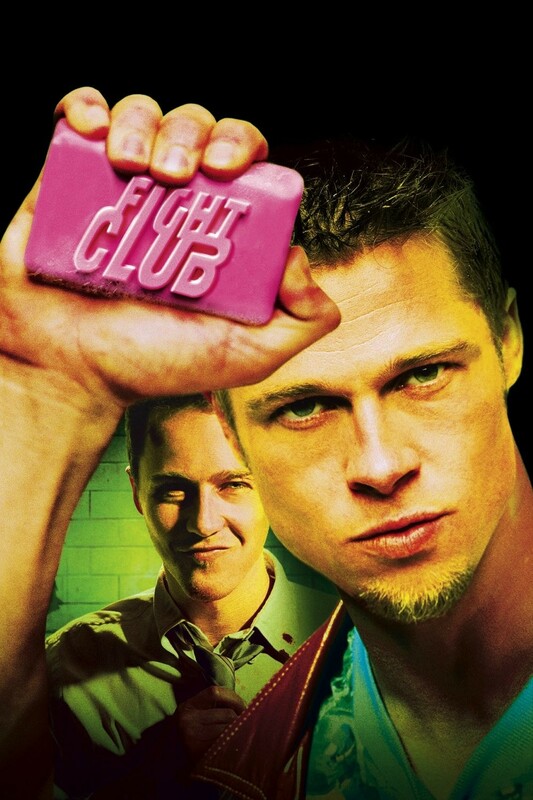 The directorial astonishment of Fincher was truly felt, featuring amazing camera shots and shocking scenes along the way, it had created a massive following, from start to finish this feature was hugely entertaining and it drew us into the world of mysterious characters of Tyler Durden & The Narrator both extremely opposite in their own way but with a mutual goal of starting a revolution through a fight club they both help create in some form. With its humorous and dark tones this would certainly be one of Fincher’s strongest results in creating a great adaption to an already brilliant novel but also an extremely notable unique film that was undertaken valiantly by David Fincher. Dealing with the aftermath of a massive success of “Fight Club” three years later in 2002 Fincher would make the claustrophobic and tense thriller (a theme being created already) “Panic Room”. This would become a mainstream thriller as Fincher would describe it, and one for the wide audience to watch, a suspenseful film to say the least starring Jodie Foster and Kristen Stewart as the mother and daughter trapped in the panic room of their house while three criminals were looking for a fortune. The action is brilliant and Fincher did so well to contain it in a limited space. This film would deal for the first time in Finchers films as having a female lead as its central character, nothing that his previous film had done. After being three years since he released a feature film this would be a good effort as Fight Clubs success was still echoing and would still yet to echo for years to come. “Panic Room” was great in the sense of a limited thriller with the whole duration of the film set in one specific environment and a good job at that. His next film feature which was also an adaption of Robert Graysmith’s book, would come five years later in 2007 with “Zodiac” a film based on the book and the infamous Zodiac killer who’s case became famous in the 1970’s. The film deals with three detectives as they become attached and obsessed with the case. This would become Fincher’s longest film by far in terms of duration, a brilliantly detailed film which also acts as a long case in the years that pass within the film. Having been well received by critics it did not do well in the box office domestically but well internationally. This was a large scale film having been shot digitally and featuring a well-known cast in Jake Gyllenhaal, Mark Ruffalo, Robert Downey, Jr and Brian Cox. The actors played their part well and throughout the film David Fincher captures brilliantly how this killer has affected them mentally and physically as well having exhausted them to find him. The film flows well and has always the dark tone of Fincher and makes the spectator want to find out how well this case was projected on the screen and if you don’t know anything about the case of the Zodiac killer, you will be given an excellent story that will make you want to learn more about it. nominations in his 2008 film “The Curious Case of Benjamin Button” an adaption of F. Scott Fitzgerald’s short story which would see the film stretch in just under three hours. The epic scale of it would see the remarkable story of the protagonist played by Brad Pitt age backwards while being involved in some extraordinary situations and global travels. There is an air of mythical and haunting themes as Fincher tackles the world of fantasy and history, the film’s huge budget of $150million was mainly used for the CGI and also for the aging process of the protagonist. All in all there is something beautiful and rich in this film that is much lighter to all of Fincher’s previous films, he truly takes us on a journey and helps us discover who truly is Benjamin Button and his bizarre gift not so much a disease, for a short story David Fincher made the most of its vast and picturesque richness. Next would come one of Fincher’s most award winning of films in the 2010 release of “The Social Network” about the beginning and creation of Facebook as well as the legal battles that ensued from it. David Fincher had a great collaborator to work with on this film the brilliant writer Aaron Sorkin, the flow of his script as well as the brilliant direction of Fincher made this film emanate very delicately, it was the first time that David Fincher felt he could truly trust in Aaron Sorkin as this duo was projected on the screen helping the film win 3 Bafta Awards, 4 Golden Globes and 3 Oscars. The result was apparent in the brilliant writing of Sorkin and how the director had chosen to take on this truly ambitious and controversial project, Jessie Eisenberg doing a fine job as Facebook’s creator Mark Zuckerberg, the cast looked very comfortable in their roles knowing there was a great leader guiding them behind the camera. Up until then Fincher would take on an equally grand project as he would undergo adapting the very successful “The Girl with the Dragon Tattoo” and for me there was only one director that could tackle this suspenseful and mysterious thriller. With the brilliant music composition of Trent Reznor accompanying this great adaption I had seen the original Swedish version previously and Fincher does not miss a beat, it felt as though the film was not even for Hollywood as it felt intense, even for an R Rating (18 in UK), It is a harsh, gritty, and rough cinema viewing. This was Fincher’s playground, and I believed he faced no challenges in adapting this, he made this film his own and the actress portraying the protagonist female of Lisbeth Salander played by Rooney Mara approached the role very well with the guidance of Fincher. I would be surprised if Fincher is not chosen to direct the next two that fulfil this films trilogy and I will have no doubt in my mind, as a director David Fincher can deliver on intense and nail-biting thrillers. 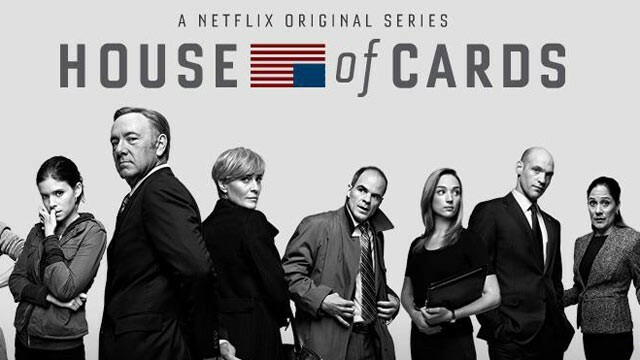 David Fincher would then go on to become an executive producer for the political thriller series starring Kevin Spacey “House of Cards”. Although he would only direct the first two episodes, his effect was felt in the oncoming episodes of the series, we can only hope season 2 was as gripping and brilliant as the first. He is a director that can make the seemingly complex seem feasible, through the environments in which he adapts in his films he can create a dark and imaginative world where you can exist and be afraid & entertained at the same time for this is truly one of his directorial aspects, to make film audiences seem uneasy while slowly drawing them in his world. For he has a charismatic gift of making audiences have a real experience when watching his films through his great selection of camera shots and his approach to characters that exist within his chosen setting along with his established atmosphere he wishes and does achieve. Please like and share my article or message me on who I should feature next in my showcase.